If you do not know the URL of your student webpage, enter your Evergreen ID below. Please enter a valid Evergreen ID. If you have not yet created yours, click here to learn how. Step 1: From an on-campus linux machine, create a folder called web in your student folder. 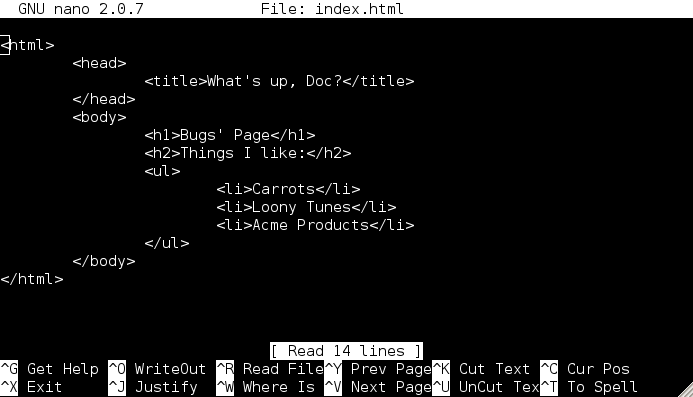 Step 2: Create a file called index.html in your new web folder. Step 3: Add content and save!